Snowball fights are great, but everyone knows that snowball fights involving high powered weapons are better. Or… Well.. At least the team at Epic Games does. 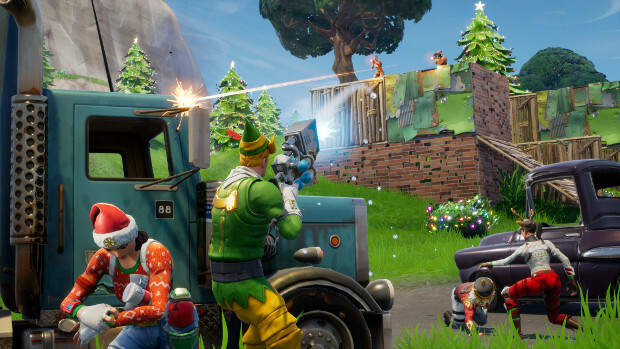 Which is why Fortnite‘s holiday event adds a rocket… er… snowball launcher to the game. There’s actually all kinds of goodies to grab, including new weapons and outfits. The event is part of patch V.1.11, which includes the season 2 Battle Pass, an updated Event Store with wintery new items, and an inventory access update. You can check out the full patch notes on the Fortnite blog. Or, if you’d just like to see the new weapon, take a peek at the trailer below.